Originally published: New York: G.P. Putnam's Sons. *NOW A MAJOR FILM by Sony Pictures, starring Chloe Grace Moretz*'Wildly entertaining . . . 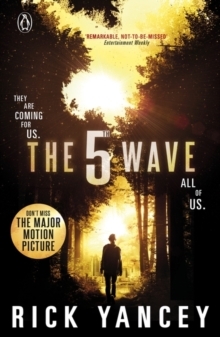 I couldn't turn the pages fast enough' The New York Times*The 5th Wave is the first book in the bestselling series from award-winning Rick Yancey. Perfect for fans of The Hunger Games, Divergent and Maze Runner*After the1st wave, only darkness remains. After the 2nd, only the lucky escape. And after the 3rd, only the unlucky survive. After 4th wave, only one rule applies: trust no one. NOW IS THE DAWN OF THE 5TH WAVEOn a lonely stretch of highway, Cassie runs. Runs from the beings that only look human, who have scattered Earth's last survivors. To stay alone is to stay alive, until she meets Evan Walker. Beguiling and mysterious, Evan may be her only hope. Now Cassie must choose: between trust and despair, between defiance and surrender, between life and death. www.rickyancey.com'Remarkable, not-to-be-missed-under-any-circumstances' Entertainment Weekly'A modern sci-fi masterpiece . . . Should do for aliens what Twilight did for vampires.' USA Today'The pace is relentless' Heat'Chilling' Sun'Nothing short of amazing' Kirkus (starred review)'This book's scary!' Teen Now (5 starred review)'A twisty survival story that borrows elements from romance, horror and dystopian fiction'Wall Street Journal'An epic sci-fi adventure about a terrifying alien invasion.